This is the beginning of the urban farming (r)evolution: it will redefine what it means to eat well, reshape the landscape of cities, and re-empower the people to take ownership of their food. I strongly believe everybody has an instinctual need to be independent, though our definition of independence may differ. For me, true independence always meant living in nature, growing my own food, and being completely reliant on myself. Growing up in my village as a young boy, I watched our farms slowly disappear to make way for new buildings. As the village grew into a town, fields were pushed further and further out to make way for the growing population. We became ever more disconnected from our land and our food, ultimately losing the ability to grow for ourselves. I spent my adult years trying to regain what I lost as a child. This urge to reconnect with nature and to possess the accompanying feeling of freedom led me to travel to remote communities around the world and learn about different farming techniques and other ways of life. I reached the peak of my journey on the mountains of the Canary Islands, where I found myself completely isolated from society. For a whole year, I grew my own food, drank from springs, and channeled the energy of the sun through solar panels. Being completely self-sufficient was one of the most thrilling and rewarding experiences I have ever known. But, at the same time, I soon found that living off the grid also meant unrelenting hard work. My day was no longer my own and I had to always be diligent in my tasks to survive in my surroundings. Crops needed tending all day, daylight and water couldn’t be wasted, and mistakes were unforgiving. In my search for independence I had inadvertently lost the freedom to enjoy life my way. Returning to the city liberated me from the challenges of isolated living, but as I was walking through the city’s food markets I could not believe how poor the quality of the produce was. The freshness and the taste of the land seemed to have been drained out of the food. This stood in stark contrast to the vegetables and fruits I had grown on my own that almost seemed to burst with colour, flavour, and vitality. It was shocking to see how our perception of “good” food had become so skewed. I asked myself “is there a way to bring the farm into the city and the freshness and flavor back into our lives”? “Is there a way for us to take back control over what we eat and how we grow our food, even when living in a city”? Four years ago, together with my my co-founders Osnat and Guy, I opened the doors to the first mobile vertical farm in the world. We converted a 1955 Airstream trailer into a vertical farm, where plants would grow on shelves with neon lights glowing overhead. We parked the mobile farm in one of Berlin’s most well-known urban farms, ‘Prinzessinengarten’, and created an interactive installation to help people overcome their fear of this non-traditional way of farming. Visitors could harvest herbs and microgreens, make bowls of salads, and plant new seeds for the next visitors. We conducted workshops and discussion groups and met with many inspiring urban planners, designers, food activists, bio-dynamic farmers, architects, chefs, biologists, and hackers. Our aim was to understand why urban farming had not experienced rapid growth despite it being a possible solution to feeding the world’s growing population in a more sustainable way. The trailer farm became our research station and a lab where varied voices formed the beginnings of what we today call INFARM. Industrial farming was manufactured and tailored to produce the largest volume of food to feed a rapidly growing population. This led to soil degradation, water waste, and plant diseases that required the use of herbicides, pesticides, and fungicides. A globalised urban population with an insatiable craving for exotic and non-regional produce all year round also fostered the growth of a market, where asparagus flown from Thailand to Germany was cheaper than asparagus grown locally by regional farmers. Our current food system’s biggest deficiency is that it is too far removed from the people it is trying to feed. At INFARM, rather than asking ourselves how to fix these deficiencies in the current supply chain, we looked to re-defining the entire chain from start to finish. Instead of building large-scale farms outside of the city, optimising on a specific yield, and then distributing the produce, we decided it would be more effective to distribute the farms themselves throughout the city. The next green revolution will disrupt our industrialised world. The power behind this massive change will come from the unavoidable union between multiple industries: energy, agriculture, IoT, foodtech, Ecommerce, and more. With this realisation, the idea for the INFARM urban farming network was born. 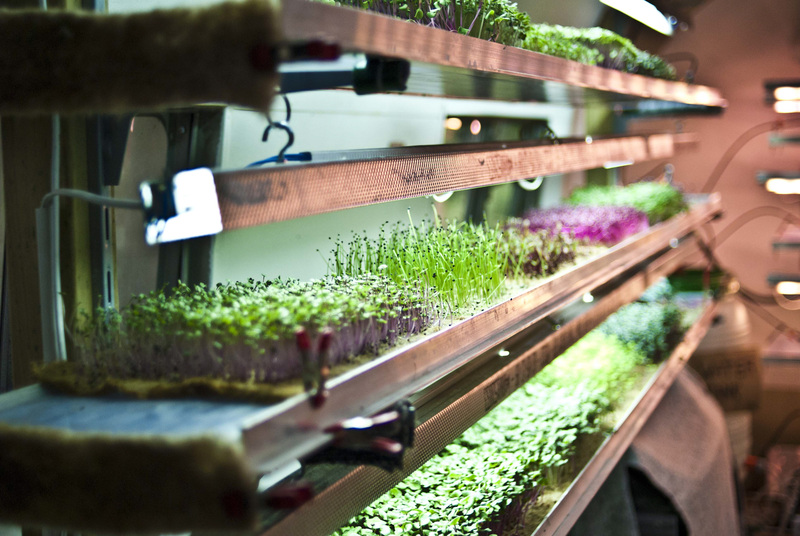 Our modular farms plug into existing infrastructure and are easily deployed into a given space, often directly at the point of sale. The individual farms are connected to each other through our central farming platform, creating a first of its kind self-optimising farming network. Our unique cognitive platform orchestrates the network and leverages a sophisticated mesh of sensors and IoT technologies to improve itself over time. Each individual farm acts as a data pipeline, sending information on plant growth to our platform allowing it to learn, adjust, and optimise. In the near future this platform will be able to anticipate and react to the changing needs of the urban population – moving and learning in synchronisation with its host. 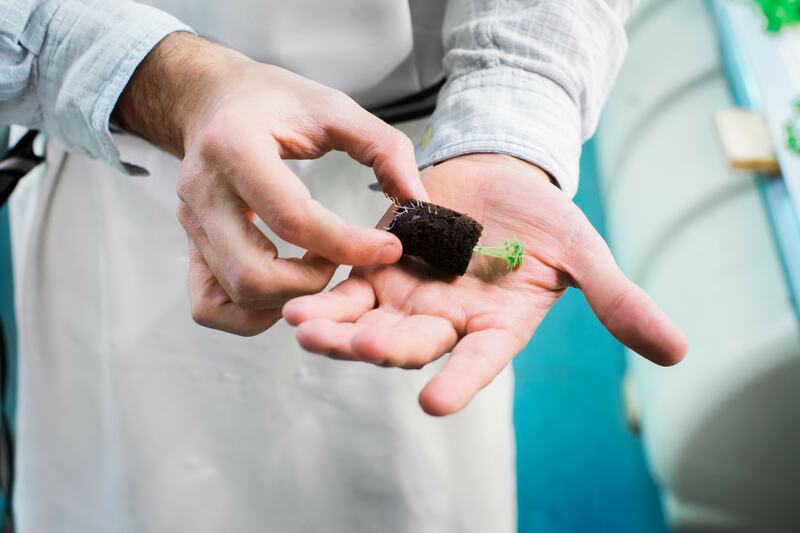 With our farming units currently rooted in supermarkets, restaurants, offices, warehouses, and shopping malls throughout Berlin, we are laying the foundations for a new urban food system. A food system built on transparency and quality, giving back the ownership of the supply chain to the people and re-shifting the focus to the benefits of regional produce. The quality and taste of white asparagus grown in Brandenburg by the regional farm that has been cultivating these crops for generations is unrivalled and should be supported. In this way urban farming and existing local agriculture can and should complement each other. By supplementing regional produce that is native to the land with more exotic and non-native produce, our new food system can still satisfy the voracious appetite of the urban population. Our current food system’s biggest deficiency is that it is too far removed from the people it is trying to feed. Taking inspiration from nature’s most elegant designs and combining them with our technology, each one of our farms is its own ecosystem that is programmed according to the growing recipes developed by our plant experts. These recipes tailor the combination of light spectrums, temperature, pH, and nutrients to create the ideal environment that nurtures the growth of the plants and allows each variety to express its natural flavour profile to the fullest. 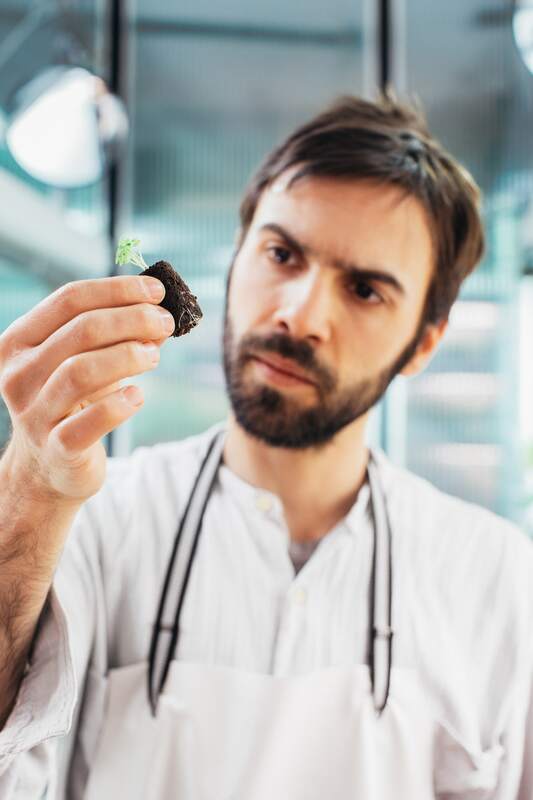 We are also able to recreate extreme growing environments that are necessary for the growth of rarer plants like Mexican mint or ice-plant from the sandy beaches of Jaffa – plants that would not normally survive the long journey to our plates. We want to bring a world of choice right into your neighbourhood without having to compromise on quality and safety. Through all these developments, savouring delicious food and sharing this experience with others become the bedrock of INFARM’s culture. 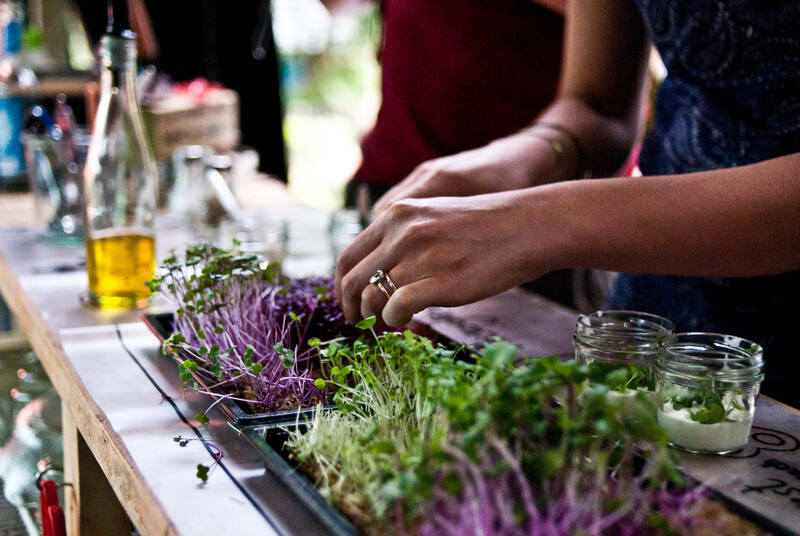 Much like our Airstream trailer became the research station for urban farming, our Kreuzberg hub became a home for food exploration that attracted chefs, food bloggers, lifestyle brands, hoteliers, family and friends. Here we share, experiment, cook and eat. Our velvety greek basil gave old family recipes a new lease on life, whilst our rich thyme garnished the culinary creations of daring Berlin chefs. We found that giving people a space to interact with the farms and to reconnect with the growing process allowed them to unleash their creativity and innovative approach to food. Using these nutrient-dense living plants meant we could take a truly holistic approach to food: one that not only considered flavour and texture but also dietary health. The next green revolution will disrupt our industrialised world. The power behind this massive change will come from the unavoidable union between multiple industries: energy, agriculture, IoT, foodtech, Ecommerce, and more. These industries will combine to create a smarter and healthier Eco-Industry that will serve the people and the environment equally. The products that will come out of this space will be superior to those that were born from the old paradigm purely because they are more sustainable. 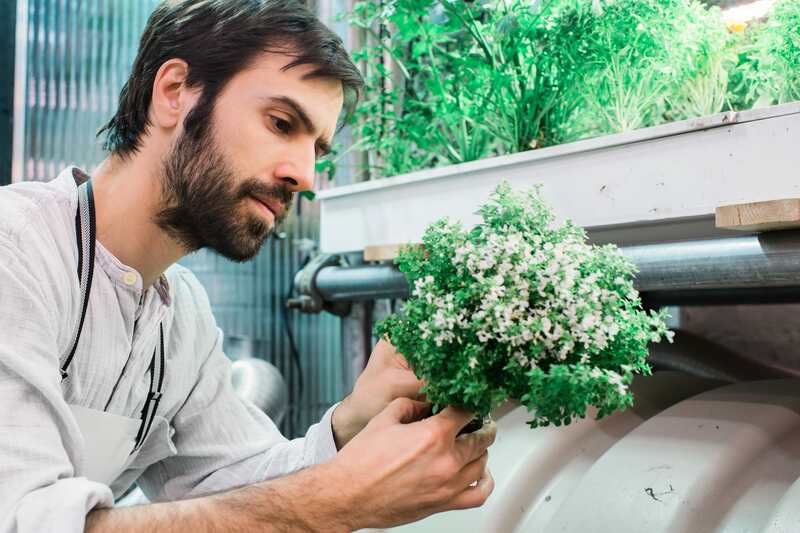 Urban farming is a big part of this movement and will continue to benefit from the progress and investment into other related sectors as the new Eco-Industry slowly begins to rise. This is the beginning of the urban farming (r)evolution: it will redefine what it means to eat well, reshape the landscape of cities, and re-empower the people to take ownership of their food.